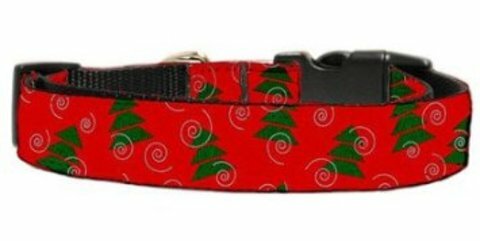 purrfect collar, This beautiful red collar accented with green pine trees and windy swirls might appeal to even the most finicky cat. This safety cat collar is constructed of sturdy nylon grosgrain ribbon. Also comes in different sizes and matching leash in available for dog owners as well. For more information or to order, click here.